China Beijing Huanqiu Guangyang Bearings Co.,Ltd.specialize in designing, manufacturing and supplying premium quality bearings under our own registered China brand name GPZ. Beijing Huanqiu Guangyang Bearings Co.,Ltd, designs and produces Metre & Inch- Taper roller bearings,Pillow blocks bearings,Deep groove ball bearing,and other kinds of ball & roller bearings:spherical roller bearing, cylindrical roller bearing,self-aligning ball bearing,needle roller bearing,angular contact ball bearing,thrust ball bearing,wheel hub bearing, conveyor bearing,agricultural bearing, Our series of trademark for bearings were registered as GPZ. Our production plant have strictly Quality Control Systems and our China GPZ has won good market in Southeast Asia,Southern America and Eastern European countries,China GPZ Bearings are favored by every client of all over the world. After the technological transformation,We have advanced technology and equipment in manufacturing different kinds of bearings. We build up our expertise in making quality bearings, systematically, uncompromisingly and precisely over the years.The annual capability output is estimated for USD eight million and tax is nearly USD 800 thousand .We believe our company would get better in the future! Through the continuous efforts of our staff, as well as the support of our clients and partners, China GPZ bearings are getting better and better reputation and belief of domestic and oversea customers.China GPZ product will go out of the gateway of our country to the world.we hope that more foreign businessman and domestic colleagues consult us the business and close cooperation. We, Beijing Huanqiu Guangyang Bearings Co.,Ltd. specialize in designing, manufacturing and supplying premium quality bearings under our own registered China brand name ‘GPZ’. Bejing Huanqiu Guangyang Bearings Co.,Ltd, designs and produces Metre & Inch- Taper roller bearings,Pillow blocks bearings,Deep groove ball bearing,and other kinds of ball & roller bearings. Our series of trademark for bearings were registered as “GPZ”. Our production plant have strictly Quality Control Systems and our China ‘GPZ” has won good market in Southeast Asia,Southern America and Eastern European countries,China GPZ Bearings are favored by every client of all over the world. After the technological transformation,We have advanced technology and equipment in manufacturing different kinds of bearings. We build up our expertise in making quality bearings, systematically, uncompromisingly and precisely over the years.The annual capability output is estimated for USD eight million and tax is nearly USD 800 thousand .We believe our company would get better in the future! Through the continuous efforts of our staff, as well as the support of our clients and partners, China GPZ bearings are getting better and better reputation and belief of domestic and oversea customers.China GPZ product will go out of the gateway of our country to the world.we hope that more foreign businessman and domestic colleagues consult us the business and close cooperation. Zhangzhou World bearing Corporation Limited, whose brand is SDT, was founded in May 2004. 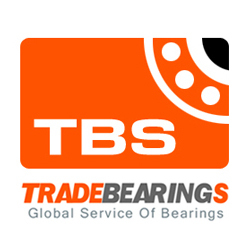 It is a specialized company engaged in the design and manufacture of spherical plain bearings. SDT can supply various bearings, mainly including spherical plain bearings, rod ends, ball joint, and hydraulic rod ends. All SDT products are designed and produced according to the international standards. And SDT has the advanced measuring equipments and strict QC procedures to ensure high quality. They are widely used in the machinery of mining, metallurgical, engineering, electrical power equipment, traffic, space, medicine etc.. SDT products are very popular home and aboard for their competitive price, good quality and excellent service.